The Wait is Over! We began picking our Dolce vineyard in southeastern Napa Valley on Monday, November 30, making it the latest harvest start date in our 30-year history. After months of waiting, our Semillon is purple, shriveled and covered with a fuzzy, grey mold, just like our winemaker likes it. Sound crazy? Maybe a little, but when conditions are just right, those ugly grapes remarkably transform into the exquisite late harvest wine we’ve come to refer to as Liquid Gold. 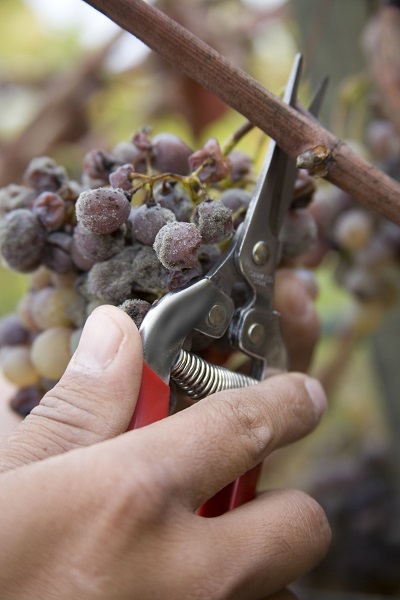 To learn more about the artistry behind our Late Harvest Wine, click here. And HERE, for recipes and holiday pairing guidelines!